“Sittang” is the battle honour won by 1/4th Gorkha Rifles (part of 17th British Indian Infantry Division) on 23rd February 1942 during the Burma Campaign. The Battle of Sittang Bridge is one of the most well-known battles of that time where more than 5,000 soldiers lost their life in action against the Japanese. 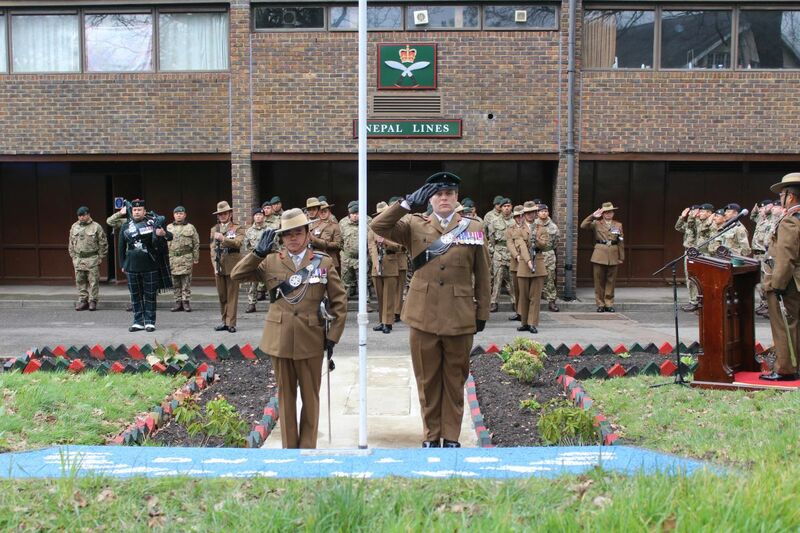 On 4th March 2019, Gurkha Company Sittang (GCS) commemorated “Sittang Day” in front of their home, Nepal Lines in Sandhurst, to honour the fallen. 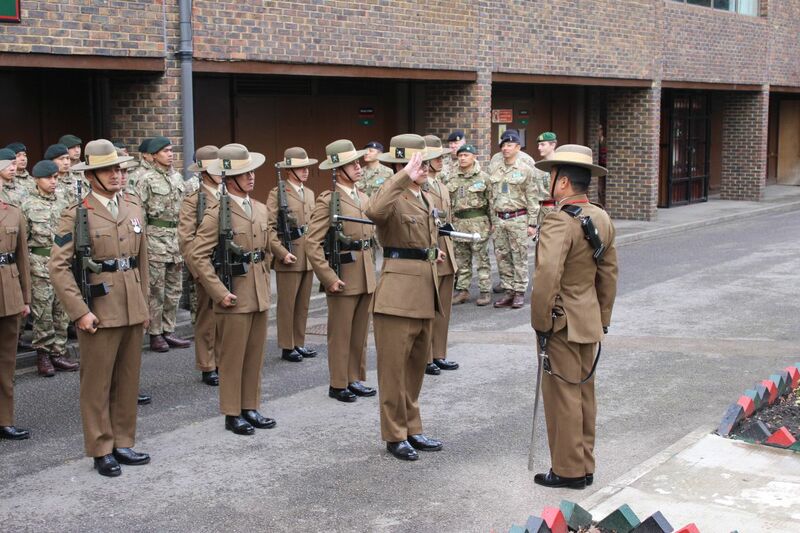 GCS Second in Command Captain Dipakraj Ghale, gave a powerful account of the battle and explanation of the battle honour. 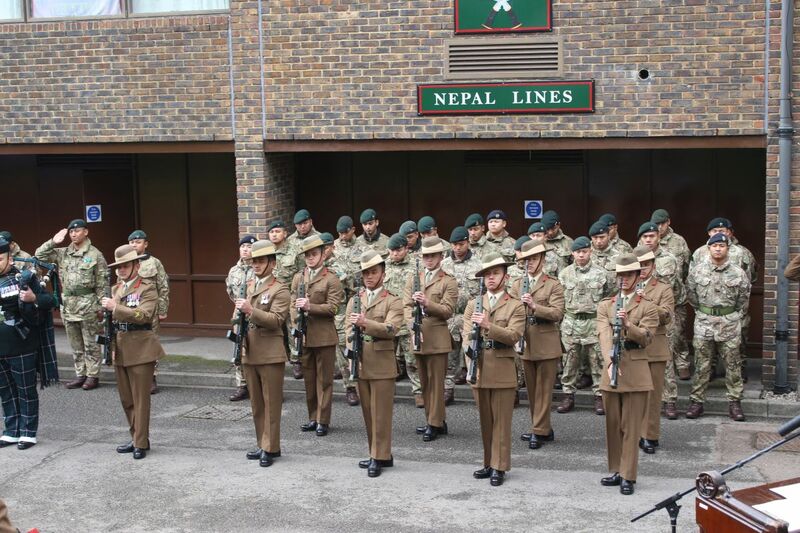 Sergeant Prakash Gurung led the honour guard who gave the salute to the fallen soldiers for their sacrifice, before Officer Commanding Major Chandra Pun and Commanding Officer Sandhurst Support Unit Lieutenant Colonel Chris Boryer MBE laid wreathes in memory of those who fought so bravely. We as GCS, celebrated “Sittang Day” to remember and honour our great forefathers. The sacrifice they made are the reasons we are who we are today.